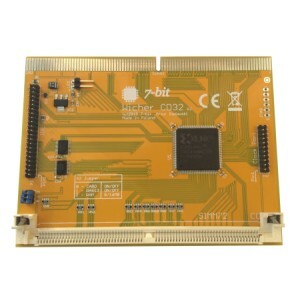 Wicher CD32 is the Amiga CD32-compatible memory card providing up to 11.5 MB FAST RAM (via 16-128 MB SIMM72 modules) and IDE 2,5” hard drive support. By buying this product you can collect up to 43 loyalty points. Your cart will total 43 loyalty points that can be converted into a voucher of $1.13. 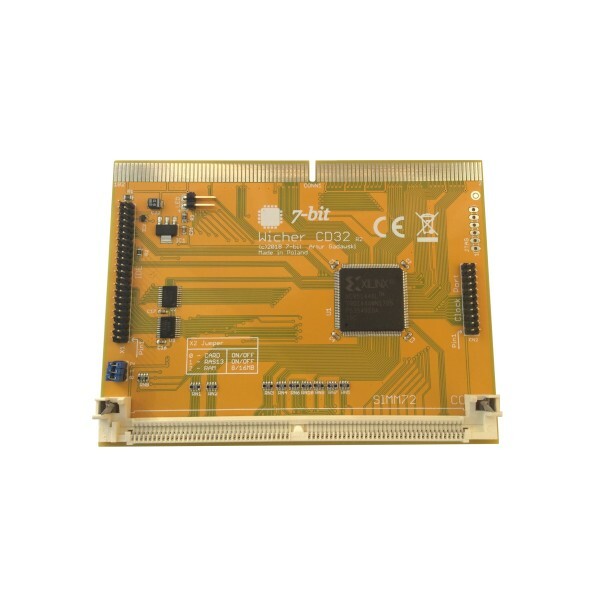 Wicher CD32 is the Amiga CD32-compatible memory card providing up to 11.5 MB FAST RAM (via 16-128 MB SIMM72 modules) and IDE 2,5” hard drive support. It includes ClockPort connector allowing further expansion with additional peripheral devices. This product has been developed for gamers looking for a basic FAST RAM memory expansion capabilities coupled with an IDE hard drive controller.